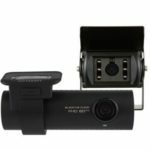 DR750S-2CH TRUCK features Full HD Sony STARVIS™ front camera and waterproof rear camera with embedded IR light to fit externally on the back of trucks and most commercial vehicles. Perfect dashcam for fleet management. 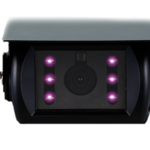 nfrared External Rear Camera with Rugged Metal Waterproof Casing With its metal waterproof casing the rear camera of the DR750S-2CH TRUCK is built to withstand most weather conditions. 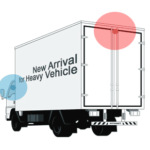 It is designed to be installed at the rear of truck or heavy vehicles. We recommend to secure it in place on a flat surface using the provided screws. The luminosity sensor detects ambient brightness, activating automatically the six IR lights to help identify vehicles and objects even in the dark.